Corporate events are expensive—often one of the biggest items in the marketing budget. But when done well, they can produce a significant return on investment, both in quantifiable financial measures and soft benefits to the organization. On the other hand, when not planned and executed strategically, conferences and meetings can end up being little more than expensive parties. Sure, the attendees may enjoy the entertainment, networking, and food, but they won't be inspired to think differently or take action. These events don't serve the brand or contribute significantly to profitability. Few leaders in the live events world have been articulating this message longer and more effectively than Christry Lamagna, founder of and Master Strategist at Strategic Meetings & Events, an award-winning international strategic planning firm. 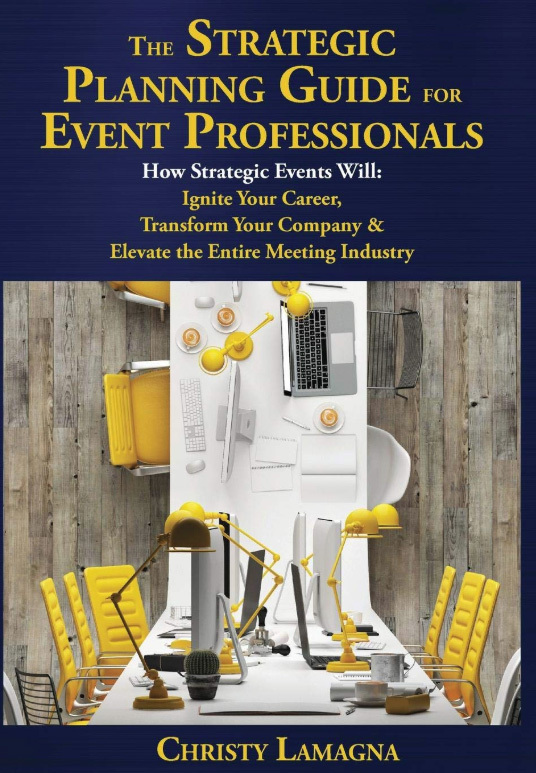 In her new book, The Strategic Planning Guide for Event Professionals: How Strategic Events Will: Ignite Your Career, Transform Your Company & Elevate the Entire Meeting Industry, Christy lays out how companies seeking a competitive edge can use an effective, repeatable process to plan and manage events strategically. By embracing strategic event planning, corporate marketing teams can organize and manage live events that consistently deliver measurable ROI and influence what their "target audiences feel, think, say and do." We recently sat down with Christy to learn more about her guidance and the value of strategic event planning for corporate marketers. Here's our conversation. G2Planet: What inspired you to write this book? Christy Lamagna: Nothing could stop me from writing it. I have seen the powerful, quantifiable rewards that are direct results of strategic planning and know it will change not just the event industry but sales and marketing departments everywhere. The current, logistics-based event model is inefficient, unrewarding, and unsustainable. The Strategic Planning Process I outline changes everything about how meetings are held, what they accomplish, and the role the master strategist and strategic planning team hold in organizations. Strategic events are the dynamic intersection of marketing and sales. They turn events into formidable sales tools and bring marketing messages to life. Strategic event content influences what audiences feel, think, say and do, which means we can shape and track the behaviors we influence and the results of those changes. The book is a roadmap from the ballroom to the boardroom. Period. G2Planet: Who is the core target audience for the book? Christy Lamagna: Anyone who wants to improve the quality of their work life, or their personal life. This book is about creating changes in behavior, delivering quantifiable results, creating a frictionless path to achieving goals, working smarter, streamlining energy, and enjoying every aspect of your work and home life. Who doesn’t want all that? G2Planet: What are the biggest obstacles in the way of planners being more strategic? What are the biggest frustrations they face? Christy Lamagna: Planners are overworked, under-appreciated, exhausted, and frustrated. The idea of blowing up what they’re doing and starting over is daunting. It’s the same trap we fall into when we decide we’re too busy to delegate or to hire help. The pain of the change is temporary, but to keep the status quo and avoid that temporary spike in effort, we are condemning ourselves to endless frustration. That’s on the planner side. On the executive side, it’s about answering the question “What’s in it for me?” and being able to articulate how and why strategic events are imperative to getting a competitive edge that few others see much less practice. In order to get the attention of the decision makers, some data gathering and number crunching needs to happen. If you can get the meeting scheduled, the numbers tell the story. That’s the magic of it. When executed correctly, the results are extraordinary—and no one argues with success. G2Planet: What do you hope planners will do differently after reading this? Christy Lamagna: I want them to literally stop what they’re doing and start over. When you plan logistically and produce an event which ran flawlessly, all you’ve really got a glorified “to do” list that is perfectly executed. No one cares about completed lists. Executives care about the bottom line. They look at everything thorough a lens of "what have you done to make money, contribute to the organization’s success, and can you prove your value?”. No matter how hard planners work or how logistically brilliant they are, they can’t hit the bar executives use to define success. If planners start executing with a strategic plan, everything changes, and the people in power will take notice and make room at the table. G2Planet: What's been the response to the book so far? Christy Lamagna: A lot of people outside the industry are reading it and appreciating the strategic method as it applies to all walks of life. Which, by the way, is the inspiration for my second book, which will be out in the spring 2020. I’m getting a lot of emails asking for coaching and teaching the Strategic Planning Process within organizations and to executive teams, so it’s a hit on that level, which is wonderful. Other people want to hire Strategic Meetings & Events to execute their events, which makes us just as happy! My team loves what they do and take tremendous pride in the results we deliver. It’s an incredible position to be in. We are blessed and are eager to keep teaching, inspiring and improving! You can find The Strategic Planning Guide for Event Professionals on Amazon. Connect with Christy on LinkedIn and Twitter. 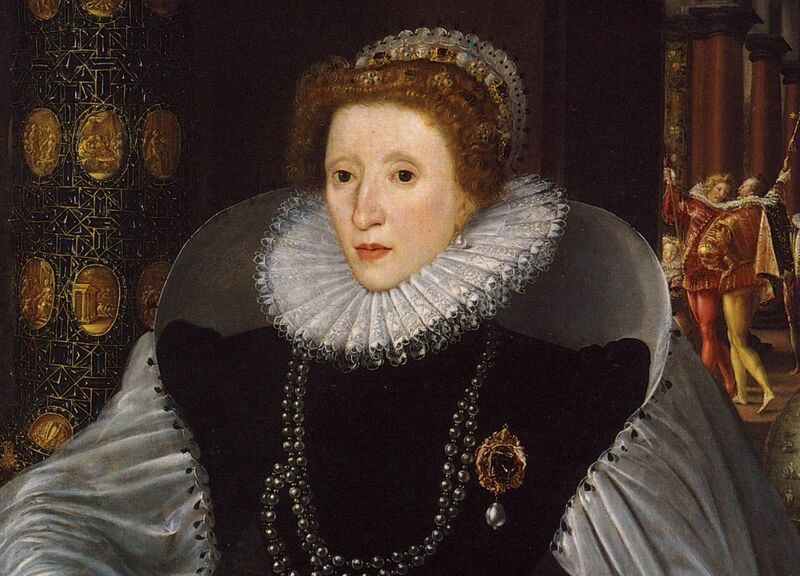 Manage Time Like a Monarch. Yeah, Right.